TechnoProzium: What happened to the Netbooks? Today is April 22, 2011- the Earth day as we call it. Aside from the fact that I don’t know much about the melting of polar caps or the green house effects, I try to respectfully avoid them as these are serious matters stated by rather serious people. But that doesn’t mean I don’t care for the environment that I live in and to prove that I went with an ultra efficient 80+ bronze rated PSU in my last PC build. Which, I have no doubt, in process will save some polar bears from extinction. And that’s why it would only be fitting that today I draw your MMO-centric minds to something that has a strong greenish look and feel about it. No, I’m not talking about the latest graphics cards from nVIDIA. What I would like to talk about, had a stunning introduction followed by some impressive showing in the market place but is going through a flat phase right now and has a few question marks on it’s future. What I would like to talk about is netbook, the revolution of yester years. It was late 2007 and the world of I.T. and Computers was desperately trying to cope-up with the upcoming syndromes of global recession when ASUS dropped a piece of hardware which effectively took the consumer market by storms. ASUS Eee PC, as it is known now world wide, pioneered a whole new segment in the market. It is not like ASUS did something original because the concept of the netbooks (or a network computer) can date back to the 60s. And netbooks existed in form of OLPC and Apple eMate even in 90s (even there was controversy and litigation over the use of the term ‘Netbook’). But the problem with them was they were never meant to serve the mainstream consumer segment of the market. While OLPC project was targeted towards the governments and the extreme low end of spectrum, the Apple products as you can guess was quite the opposite. What Eee PC did was to hit the right balance between performance and cost – the surefire formula of success. Seeing the initial success of this new gadget other big names like Dell, MSI, and Acer jumped in the bandwagon without wasting any time and all of a sudden it were netbooks everywhere. Some called it a revolution while others remained unexcited, but none could ignore the stellar sell numbers these things generated. 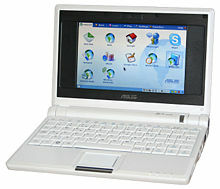 The first ASUS Eee PC sold over 300,000 units in just four months and many other success stories followed. The idea behind the netbooks was simple and reasonable. The internet revolution came hand in hand with the modern PC, mainly the Desktop PCs. But soon it was clear that the Net won’t be confined into just PCs and will spread throughout inspiring different forms and shapes of hardware. That’s exactly what has happened. The Net as we know it, never failed to amuse us and we found new ways to embrace it as each day passed. Today we have mails to check, sites to serf, pod-casts to attend and people to meet – anything and everything over the net. And all those not necessarily need you to be hooked on a PC since you don’t need huge processing power to do them. Which brings us to the Laptops but again the focus was on mainly performance and convenience, not things like battery life and cost effectiveness. At this point there was a block hole in the hardware market. While your smart phone had the technology to access the Facebook, it did lack the display and keyboard of your laptop; on the other hand your portable laptop could do all these things but was bit of overkill. Netbooks fit this scenario rather effectively as they let you perform all the basic tasks you expect from your Laptop while in a smaller and more power efficient form factor. Efficiency was the mantra that led netbook to its stunning successes, both cost and power wise. The initial netbooks were very lean and simplistic hardware wise. As usual, the x86 architecture dominates the netbook realm too and though there are models where a non x86 (namely MIPS or ARM) processor is used but they are very rare. In most of the netbooks that have been sold in last few years, the system is built upon an Intel Atom CPU. Atom basically is a very low power chip which has its most uses in the embedded SOC (System on Chip) segment. The netbook/Ultra portable laptop revolution actually came as boon to Intel as Atom became the chip of choice of the OEMs (Original Equipment Manufacturer) like ASUS, Dell and MSI. Atom’s very low (3-13 watts) power requirement coupled with the fact that it could handle most of the processing requests for day to day workloads like surfing, browsing, data uploading and downloading, made it perfect for netbook use. Although Atom had and still has its fare share of criticism due to its low performance ratings, there was simply not many viable choices (Chips like C7 and Nano from VIA were other notable alternatives). Most netbooks consisted 1 or 2 GB of system memory and very low capacity of storage in form of traditional HDD (Hard Disk Drive) or newer SSD (Solid State Drive) and no Optical Drive like DVD drive was included to maintain its low from factor. One of the main deficiencies of Atom was its anemic graphic performance, which is very important to enjoy the full potential of modern websites. Nvidia’s ION platform somewhat compensated this with its superior graphic performances. Displays varied from mere 7” in the early models to 11”+ in some latest ones. The most interesting parts of a netbook is considered its plethora of connectivity which goes from the regular ones like Ethernet and USB to the latest wireless technologies as Bluetooth, Wifi and 3G. Also other new techs are finding their way into the latest netbooks. As long hardware specs go, the dividing line between laptops/notebooks and netbooks is a very fine one. Now a day, every one has their own set of logics about what netbooks could not and should not do. Here is what Intel has to say about it. When the netbooks came into the equation, many including people like me did think of them as hyped laptop wannabes. In my defense I can point to my long desktop background which does not easily allow me being attracted to something so small and weak in nature and performance. But things have changed as more and more people everyday is coming to appreciate the efficiency and convenience that these little gadgets provide. It is fare and safe now to consider the netbooks as an entity on its own in the personal computing hierarchy. The netbook market has matured hugely and increased its share. It’s the Laptop market which particularly has been affected the most by the emergence of netbooks. Netbooks have proven themselves as viable alternative to the laptops especially when the user’s main concerns are internet oriented activities like social networking and chatting. They’ve been good enough to be considered as a secondary PC by many. If you have a desktop which takes care of your primary computing and gaming, chances are you’ll take the netbook route for a secondary PC over a laptop. So do all these mean things are going pretty good and the future is flowery? Interestingly though, that doesn’t seem to be case. Some recent reports (click n click) shows the demands for netbook are in a decline. Although this is not case everywhere (more on this later), but overall the sells are somewhat flat. For someone who keeps track of the industry trends this is not very surprising. History repeats itself, but in this industry it does so more often than in any other. The emergence of “Tablets” has contributed greatly in decreasing demand for netbooks. It started with Apple’s introduction of the iPad and since then tablets are growing both in power and number. For me the tablets are funny little gadgets but they are doing the same thing to the netbooks what they did to laptops few years ago. But apart from that there are other reasons which may lead to the downfall of netbooks. It was efficiency and simplicity that made netbooks what they are but some manufacturers tend to forget that from time to time. There is a dividing line between laptops and netbooks and some netbooks in the market are treading in wrong side of it. A 12.5” WXGA display with 320 GB storage is no doubt a good thing but then it drives the cost to $500 which few can justify on a netbook, especially when one can find a full fledged laptop around that price mark. Same goes to software too as initial netbooks came with customized Linux OS or Windows XP, now there is Vista and Windows 7 and boatload of bloat-wares. All these things make the netbook unnecessarily heavy and complex, reduce its power efficiency and at the end defeat the main goal. The Concept of the netbooks has well received in developing countries throughout the world, where both cost and power efficiency are considered major factors when buying a computer. India was no different and netbooks sells saw some huge increments here. Asus Eee PC was a very good success and even now when chips are a bit down in other countries like USA, Indian netbook market continues to grow. While this can be interpreted as a good sign for the future, I would like to point out two things. First and foremost matter of concern is the lack of understanding of the true benefits of a netbook among the common people. Many down here bought a netbook thinking it was a cheap laptop and the OEMs/vendors don’t seem to be unhappy with that either. Why should they bother about how their products are selling as long as they’re being sold, right? Students are the main buyers of netbook in India and while it is perfectly capable of being an educational companion, one shouldn’t expect to play 3d games on it! Another thing is that the tablets are yet to catch up with the rest of the market here in India. Once that happens, things may be different. But for now we’ve to understand that netbooks are better for some particular purpose and they are not cheap laptops and definitely not gaming machines. This is the part where things get most interesting and even a desktop worshiper like me can’t deny that. The netbooks have matured and reached the point where it is no more just a trend or hype. The initial storm has withered and the competition has arrived in form of tablets. But the technology behind netbooks also made some significant progress.Recently there’ve been some advancement in both cpu and gpu which can prove to be very important for netbooks. Atom’s poor graphic performance has been the Achilles heals for the netbooks for long. 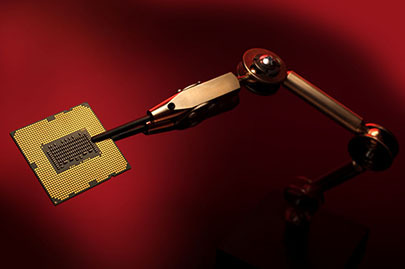 But recently AMD, who’ve notably been absent from the netbook scenario, introduced couple of chips which they call as Fusion APU (Accelerated Processing Unit). These CPUs (or APUs) are based on AMD’s latest Bobcat cores which have a much more capable GPU built into them. These little things can deliver some serious graphic horse power and all those in a power envelope that fits a conventional netbook. Netbooks with these APUs are already out in the market and have been highly praised. On the other hand VIA technologies have their x86 compatible latest Nano cpu which though an unknown entity for now but can hold some surprises for the future. And finally there are the ARM based CPUs and SOCs (System on Chip), which have improved performance coupled with fantastic power efficiency. There is a good chance that ARM based designs, which dominate the embedded and smart phone markets, may become major player in ultra low power netbook/tablet market. But if ARM chips come into play, it’ll be advantage tablet since this where ARM based chips like Apple A4/A5, nvidia Tegra2 have already excelled. Finally we should not forget about the future generation of Atom itself. And while it is obvious that tablets are doing some damage to netbooks, they are not without some serious issues of their own. The inconvenience of typing on a tablet is well known and they are not known for their price-performance ratio. So it’s not like we’re seeing the end of netbooks, rather I think they have a long way ahead simply because the reasons why people chose netbooks are still pretty much relevant. But one thing I've learned about predictions is that they don't work in computer hardware industry, so for now we can only wait. ***Just a few days from the time of this writing, came a bombshell from the website -www.semiaccurate.com. The thought that Apple may move to ARM platform is nothing new but this could make some serious impacts none the less. At least this has again sparked the age old feud between ARM vs. x86. Right now it is anyone's guess as much things needs clarification. But things will be interesting for sure and Technoprozium will be there to give you a better understanding. well i bought a laptop because i knew netbooks are not much of an alternative, so yes, i guess u r right there. Thanks for making a comment:) As I said in the article, it comes down to the usage pattern when making a decision. You knew the limitations of a netbook beforehand, thus saved yourself the after-burn. Notebook/netbook - they're not better or worse than each other, they're just different products targeted to different consumer segment. To know is the key here and you just knew what was better for you. Regards. and in my opinion suggest to my friends. I am confident they'll be benefited from this web site. Thanks for the kind words, much appreciated :) I'm glad that you liked this article. Due to being occupied with numerous other obligations I couldn't update this blog but I will do so very soon. So don't forget to check back! Regards.